until you get to the puzzle generation part, typically though. We've made an effort to take the pain out of the process by providing packages of themed treasure hunt puzzle 'legos' that you can download and instantly use in your own treasure hunt. 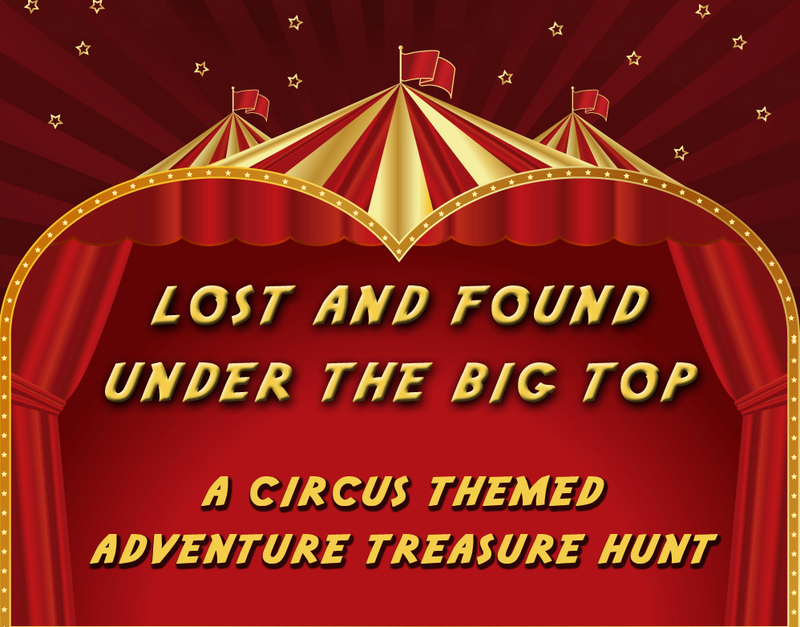 They are completely self contained (in that you will not need anything else other than the downloads to set up the treasure hunts.) HOWEVER they were also designed with a built in flexibility such that you can INSERT them into a treasure hunt you are already creating. you get the idea. You aren't locked in to any type of location - you choose the location and work it into each puzzle according to each puzzle's simple set of instructions. BONUS PUZZLE INCLUDED - This is where it gets REALLY fun! Contained within nearly every package is a BONUS puzzle that utilizes the answers from the other puzzles in the package. What good is that, you say? Well, if you use this particular puzzle as the final stop/location on your treasure hunt, you'll have a fun finale that recaps every answer they gathered along the way. It's also a great way to check if someone took a 'shortcut' and skipped a location! 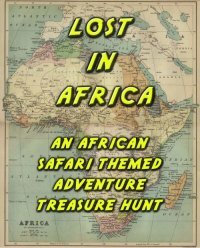 Have a question about our Treasure Hunt Puzzles packages? See below for some commonly asked questions to determine if our puzzle packages are a good fit for the type of treasure hunt you'd like to create. 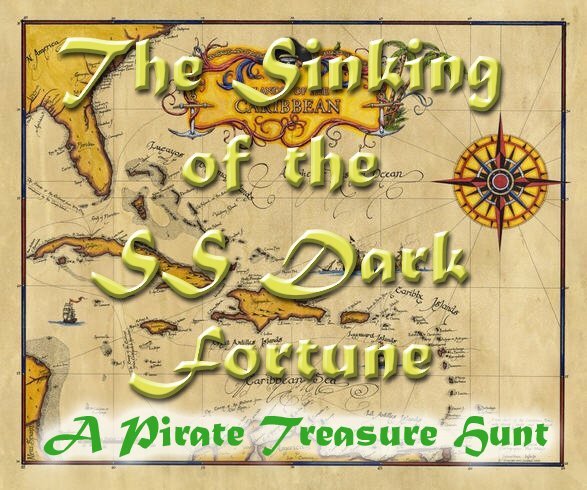 For a full list of all of our themes, click here: Treasure Hunt Puzzles. 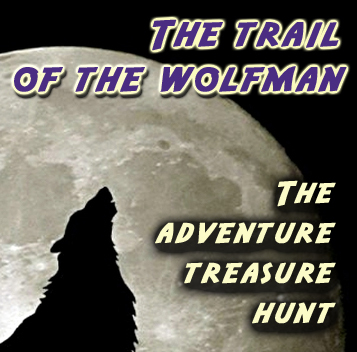 Q: How do the puzzles link together to make a treasure hunt? A: Think of each puzzle as a boxcar to a train. There is a first car and a last car and no two cars are side by side. Each puzzle has a set of possible solutions. Only one of them is correct for each puzzle. Next to the correct answer you'll write in the location of the NEXT stopping point in the hunt. Next to the other 'wrong' answers you'll write locations that AREN'T a part of the hunt. If a player visits one of these locations they'll be wasting their time - they'll need to solve the puzzle. In this way, the treasure hunt puzzles can literally be set up ANYWHERE (unique to any other treasure hunt you order online.) The puzzle is built OUTSIDE of the location. You can even reuse the same puzzles at a different location for a different hunt! Q: How long does the hunt take to complete? once all of the clues are found, that is. The puzzles were designed to keep the hunt moving, not to create any 'stuck' places. A successful hunt is one when all of the participants feel like they are constantly on the move and SUCCEEDING! Q: I don't like one of the puzzles - it seems too hard for my 10 year old, will the hunt work if I don't use that puzzle? A: The puzzles were designed to be used like Legos. Use just one or use all in the set - and in any order that you like. The only caveat is that you CANNOT use the BONUS puzzle that is included with most of the sets if you don't use ALL of the puzzles because the BONUS puzzles REQUIRE the answers to EVERY puzzle in the set. Q: I have a small apartment. With the hunt work there, too? As long as each puzzle is in a different 'location' (i.e. room), you're fine. Of course, the more space you have, the more options you have for choosing locations, but the hunt would still 'work.' Just make sure that each location has identifiable boundaries. For example, you wouldn't want the participant to accidentally find clues to one puzzle while looking for clues for another. Keep one puzzle in one room. 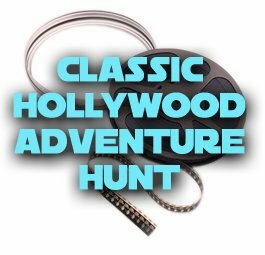 Q: I wanted to use the treasure hunt puzzles as part of a car rally I'm planning. Will they work for that? Q: Will these work if a team has multiple ages (such as for a family reunion where one family is a team with parents and young children)? 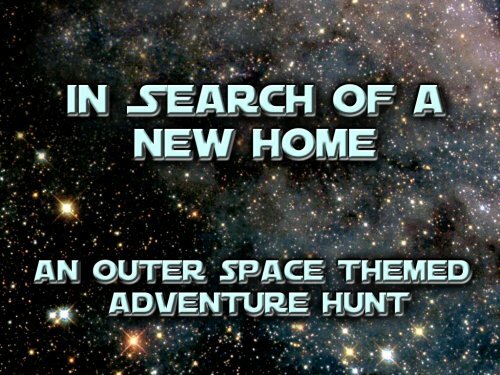 These treasure hunts were actually designed with a 'family reunion' in mind. Treasure hunts are VERY difficult to design for multiple ages. Five year olds can only handle so much cerebral activity and adults would get bored with anything that a grade school child would enjoy. That's why we developed our TWO part treasure hunt design. 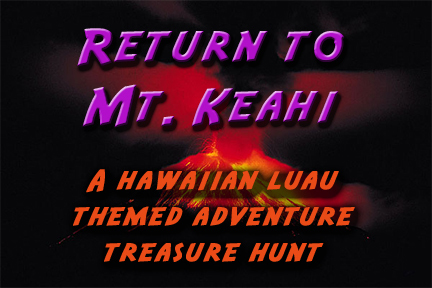 Half of the activity is to physically find the clues hidden about each location. The other half is solving the puzzle. When there are mixed ages on a 'team' simply ask the younger participants to do all the physical searching for the clues. In this way, every member has a task to do for the team! Q: I want to plan a treasure hunt with 100 people - will these work? A: No matter if you download a treasure hunt or create one on your own, treasure hunts for larger groups are very challenging to plan. Those who design them get paid big bucks to create treasure hunts that can facilitate large numbers of people. The challenges you run into for larger groups exist OUTSIDE of the treasure hunt puzzles themselves - you'll be dealing with more of crowd control issues. Built into the hunt itself will be solutions for keeping all of the teams from heading to the first location at the same time, etc. Although we've designed hunts for clients with participants in the 100s/1000s, it would be outside the scope of these products to provide the necessary information to fully cover a hunt of that magnitude - there aren't a lot of 'generalities' at play. We would need to know exactly the size of the group, WHERE the hunt will take place, the age groups, etc. However, all that being said, YES they would work as long as you had the crowd control to deal with the sheer numbers the way you would for ANY kind of treasure hunt stop. Q: I have a hunt I'm already working on. How do I incorporate a couple of the puzzles into my own hunt? 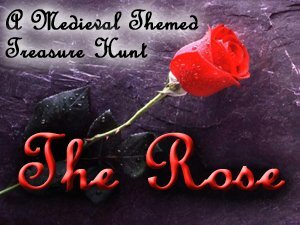 A: Although the puzzles were designed to work together to complete a 'story', all but THE ROSE can be used a la carte. 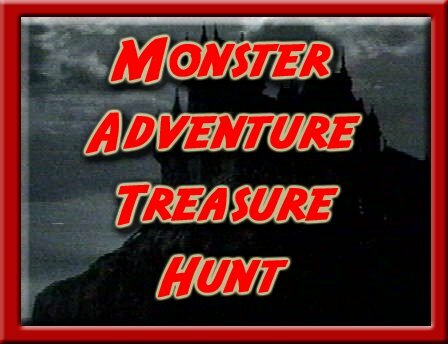 Simply take one of the puzzles and place it (per its individual instructions) at one of the locations of your hunt. Q: We want to hold a treasure hunt inside of a school gym. Will these work there? you'd be able to use ONE puzzle. 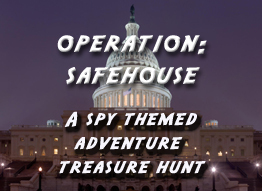 Each location has to have a clearly defined physical boundary - with places to hide the clues. A gym is a large room - you would need to create your own boundaries within the room in order to 'make it work' but we HIGHLY wouldn't suggest it as it would be questionable on how fun any treasure hunt would be in one big room. Q: What if I get stuck setting up the hunt? but we can't be responsible for any procrastinating on our customers' parts. Q: If I don't end up using the treasure hunt because my event was canceled, I can just email you and receive a refund, right? A: Because it is impossible to 'return' the product the way you might a pair of shoes or a book at a bookstore, we must reserve the right to honor refunds only to those situations that we are or can be responsible for. We cannot be held responsible for products that weren't used for certain events, but would likely be used for others. Q: I don't have time to read the instructions right away. I can just go through it an hour before my guests arrive, right? A: We can't emphasize enough the importance of going through the materials in enough time before your event so that you have time to ask any questions that you might have. Sometimes, too, when you go through the materials in advance you can come up with fun ideas to make the treasure hunt more exciting - or would like to ask us to help with that (which we love to do, as well.) The stress of arriving guests can impede your ability to clearly go through the instructions. Q: I placed my order one hour before my guests arrived at the party and realized that I didn't have time to read the instructions and put the hunt together. Surely I can get a refund for that, right? 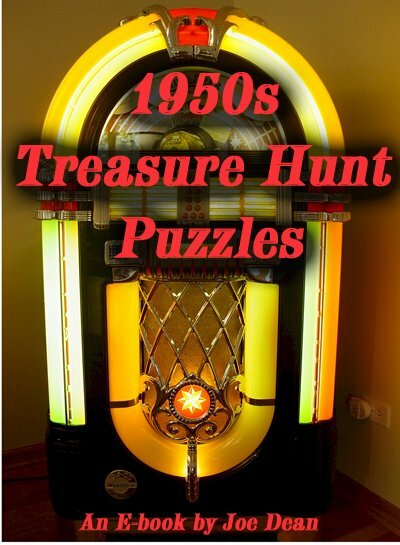 and, in the case with our treasure hunt puzzles, you can use them over and over. Q: What age group is best suited for the puzzles? 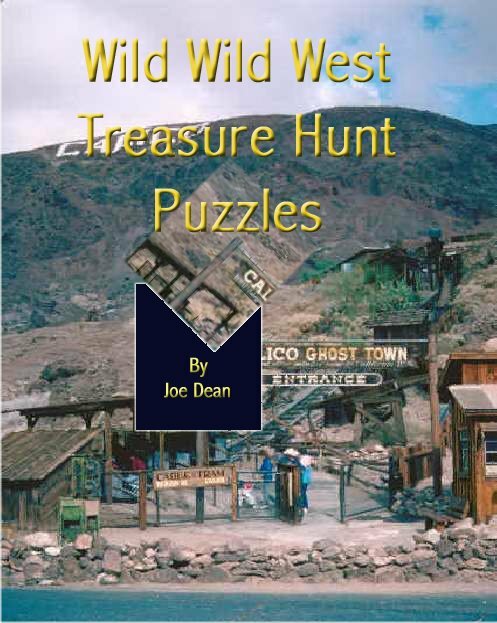 A: The puzzles themselves are relatively easy to solve, once all of the clues are found, that is. Based on the feedback we've received from our customers (we've been offering these puzzles for over a decade now!) we've heard that ages 10 and up have no problem solving the puzzles. Ages 8-9 might need a nudge from an adult to get them 'unstuck' should they run into some trouble. Younger than 8 will have troubles solving the puzzles on their own. Of course, these are GENERALITIES only. A nine year old who works puzzles all the time might have an easier time over a 13 year old who hates doing puzzles and never tries them. These are only guidelines. Q: Can the themes be interchanged? A: Yes and depends. As we like to think of the puzzles as Lego pieces, they can definitely be linked together in any combination you'd like. In fact, some of our customers have emailed us saying that they've been able to create some fun combinations for their kids on rainy days using puzzles from different collections. The DEPENDS comes in when you are talking about the BONUS puzzles. As long as you use EVERY puzzle from a given set, then you can use the bonus puzzle from THAT PARTICULAR set, as the bonus puzzles require the answers from every puzzle in the set it accompanies. Q: Are these just for kids? 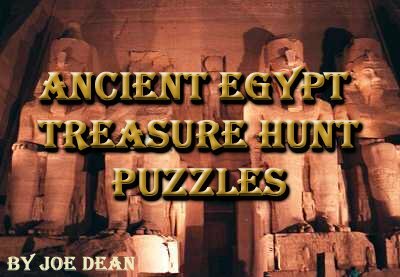 A: Although some themes lend themselves more to kids than adults, our treasure hunt puzzles collections have literally been enjoyed by ALL groups over the decade+ they've been offered. They are non age specific for a purpose. Although, we have to admit that there is a 'lighter side' to our treasure hunt puzzles - nothing too serious in subject matter. If you are looking for something a little (or a LOT) more sophisticated for an adult crowd, check out our QUESTING section! Q: How does the final 'Bonus' puzzle work? Q: How do I download the hunt once I've ordered it? A: There are actually two different ways to download all items through our download store. The first is via a link on the final page of the ordering process (a link is provided on the page.) 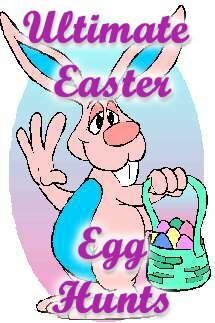 The second is via an email that is sent immediately upon order completion (a link is provided within.) This email is SEPARATE from your receipt email. If you do not readily see this other email, check your SPAM/JUNK folder as it might accidentally land there. We STRONGLY suggest that you RIGHT click the link(s) and choose SAVE TARGET AS or SAVE LINK AS (depending on the browser you are using) so that you'll have the file saved to your computer. If you just click on the link, you can open the file but that doesn't mean you've saved it. Remember, once you've purchased the puzzles, you can reuse them for other parties and events later! Q: How do I open the file once I've downloaded it? A: If you've saved the file to your computer, it's just a matter of double clicking on the file in EXPLORE. Remember that the files are in standard Adobe Acrobat PDF format (the free reader comes on all computers.) If you try to open the file in any other application (such as WORD, etc.) you won't be able to read the file. Q: Will I need anything else to make the hunt work? Q: I was in a hurry when I placed my order and only skimmed the page. After I ordered the treasure hunt I realized that it was a download and not something that was going to be mailed to me - can I ask for a refund for that? A: We've worked very hard over the years to carefully detail on every page that these treasure hunts are indeed digital downloads. NO shipping charges are added when you place your order (unless you are ordering some of our other physical items such as our cool antiqued paper, etc.) Because there isn't any way to 'return' a download, we cannot be responsible for providing free products for those who didn't take the time to read our descriptions.